Provocative Statements were drafted based on the congregation’s responses to Appreciative Inquiry interviews conducted in November 2013. They provide a reference for the congregation and new minister to move JRUUC in the direction of its dreams. We are a diverse and growing congregation made up of families, single folk, couples, children, young adults and seniors. Our membership reflects our East Side neighborhood. Our building and grounds are simple, beautiful and well maintained. Our space evolves through the collective work of our members. With a genuine spirit of invitation, the JRUUC community offers everyone a chance to feel safe, accepted and valued. Members of JRUUC are transformed by their involvement; so much so that their family members, friends and neighbors are inspired to attend. “You are welcome here.” The single value that is most revered, practiced and loved at JRUUC is that of the inherent worth and dignity of every person. Within our community, every individual is listened to, respected and trusted. We have promised each other to do so and together we show a depth of heart that is astounding. The relationships we build within JRUUC frequently grow beyond the edges of our congregation. We make room for differences and diversity and we care for each other in times of need through our strong pastoral care groups. At JRUUC, each new member can find a place for themselves through multiple points of entry and involvement that are easy to find within the congregational walls, in print and online. JRUUC is a community that celebrates life. Our worship services provide music, silence and thought-provoking topics to engage, inspire, and move attendees to action. Contributions are welcomed to worship, whether music, a sermon, or assisting during the service. The emotionality and organized optimism of JRUUC draws people in, no matter their age, ability or spiritual path. We celebrate all sorts of life events in addition to worship. The JRUUC community stands ready to rejoice, dedicate, welcome, listen, support and challenge. JRUUC is known in the larger community for our involvement in social justice issues that make a difference in the lives of people. Many of our members participate in inter-faith organizing efforts and our weekly share-the-plate contributions support community organizations. The Peace, Justice and Sustainability group provides a forum for members and friends to live out their UU values by taking action and being of service in the neighborhood and beyond. Everything we do gives us an opportunity to put our shared UU values into practice. UU principles provide the context for our growth as individuals and as a congregation. JRUUC contributes a fair share to the UUA and Mid-America Region. We utilize the resources and leadership development opportunities presented by the UUA at all levels. Members and youth are excited to participate in General Assembly and regional conferences, in person or via the internet. Our leadership inspires confidence by thoughtful, inclusive, collaborative decision making processes. The congregation supports members who serve in leadership roles. The organizational structure of the congregation encourages a high level of engagement and fosters a sense of stability. JRUUC provides an array of spiritual and personal growth opportunities for all ages. 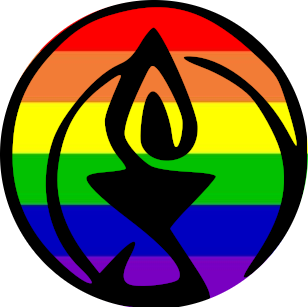 There are multiple offerings for adult RE, a thriving youth group, a connection to the UU college group, a network of chalice circles and regular community programs. We create opportunities to learn from and share with one another. Newcomers, charter members and everyone in between find it easy to learn about opportunities to participate. Big projects are organized so that there is opportunity for everyone to contribute at some level. We have enough members with many talents and abilities, to make the programs and projects we undertake succeed. Our financial stewardship is strong, consistent, and sustainable; our finances have caught up to our dreams.